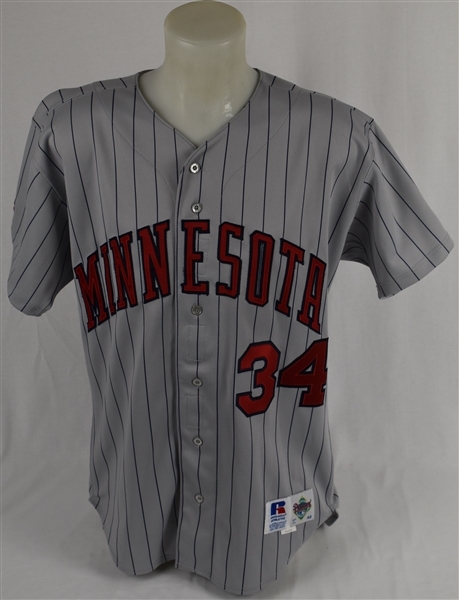 Description: This button up road gray knit jersey features "PUCKETT" across the back in blue tackle twill on a gray name plate as well as "MINNESOTA" across the chest and his number "34" on both sides, all in red-on-blue tackle twill. 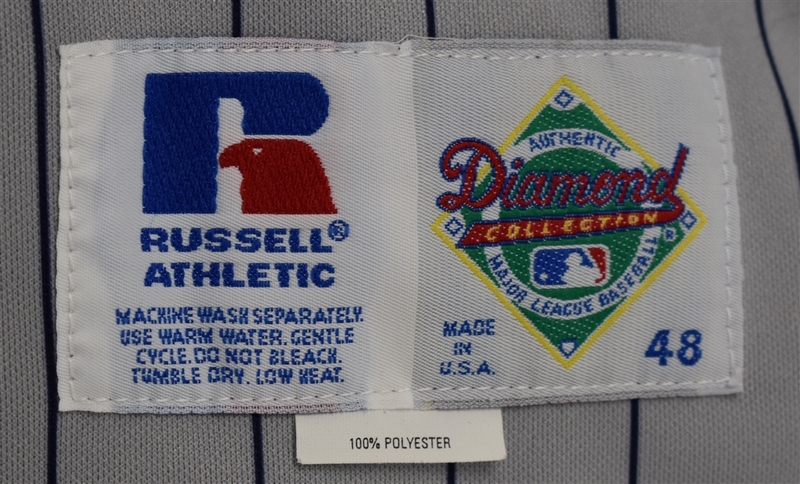 The front left tail of the jersey features a "Russell Athletic" size 48 manufacturer's tag while the "92-2" year/set swatch is sewn into the collar. 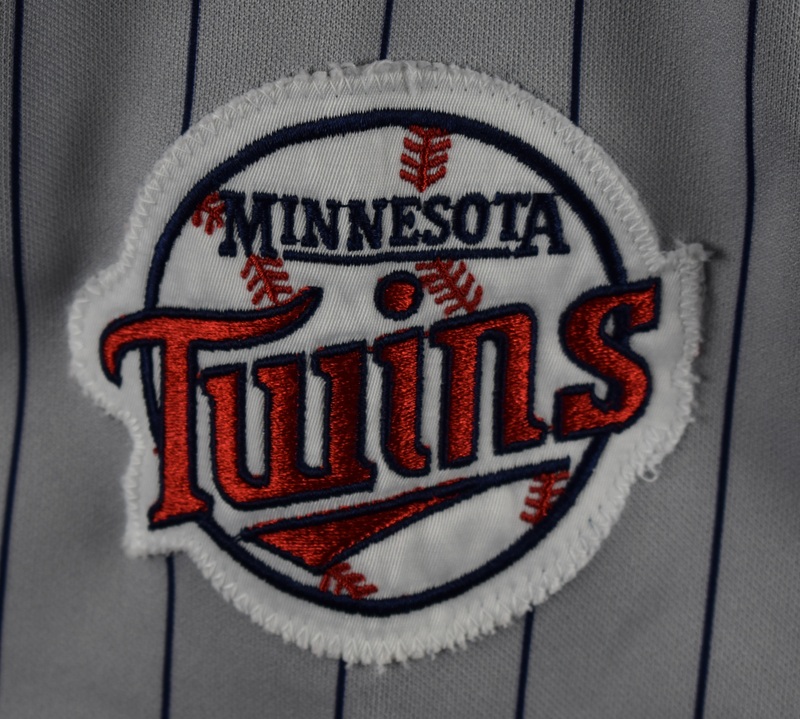 The appropriate Twins team logo patch is located on the left sleeve. The jersey shows light evidence of game use. 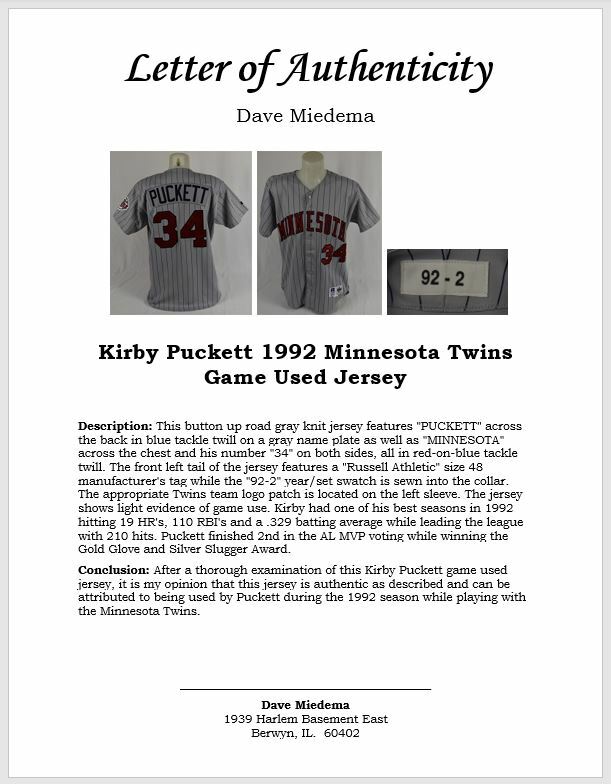 Kirby had one of his best season in 1992 hitting 19 HR's, 110 RBI's and a .329 batting average while leading the league with 210 hits. 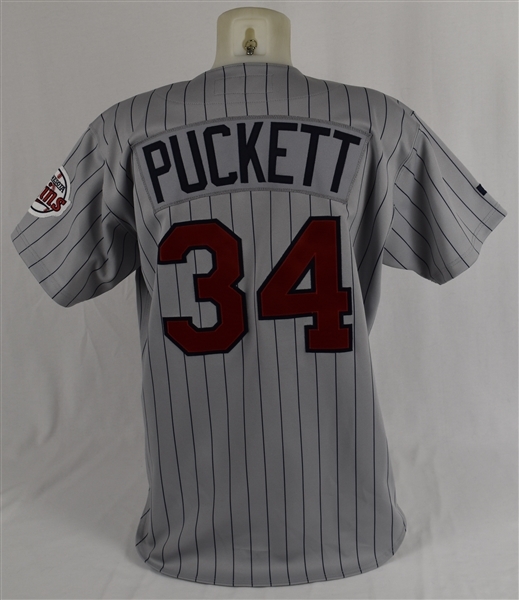 Puckett finished 2nd in the AL MVP voting while winning the Gold Glove and Silver Slugger Award. Accompanied by a Letter of Authenticity from noted game used jersey expert Dave Miedema authenticating its use. Miedema concludes: "After a thorough examination of this Kirby Puckett game used jersey, it is my opinion that this jersey is authentic as described and can be attributed to being used by Puckett during the 1992 season while playing with the Minnesota Twins."